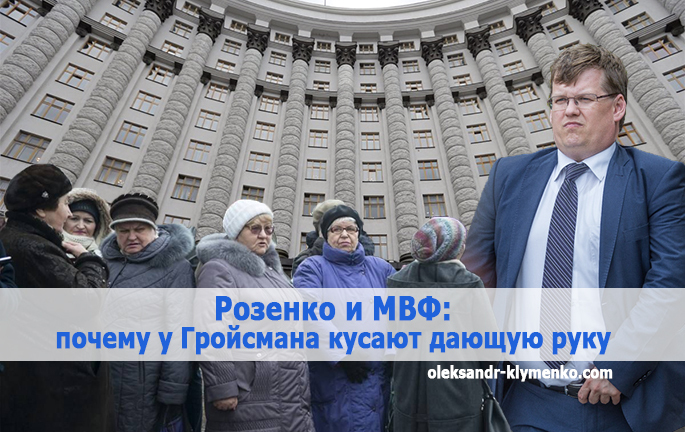 rozenko and the imf: why is the groysman’s giving hand is biten ⋆ News ⋆ Official website for Oleksandr Klymenko. Here is my opinion on attacks of Pavlo Rozenko towards the IMF. 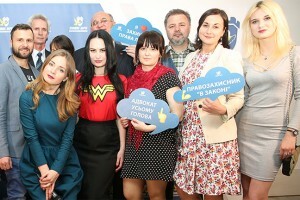 Recently, Pavlo Rozenko – Deputy Prime Minister for Social Affairs – called Ron van Roden, the head of the IMF mission in Ukraine, “awful nonpro”, and his thoughts as delirium. Why was he outraged? Representatives of the Fund believe that our pension system has not been changed since Soviet times. Introduction of accumulative pensions does not make much sense without fixing the shortcomings of the pension system. Frankly speaking, both these theses are correct. Yes, the IMF is not really concerned about welfare of Ukrainian citizens. However, they can distinguish white from black. Here is my opinion about the Pension reform in our country. FIRST. Pension system should be changed. However, reform (in the correct meaning of the word) should be aimed at improving human well-being. The current reform (as it understood by Poroshenko-Groysman team) will lead to reduction of pensioners by three times. I wrote about it on February. Manipulation with insurance means that the power complicates retirement for wide sections of population. For instance, if you want to get a pension, you should have an insurance fee of at least 25 years. In future, it will be increased annually by one year until it reaches 30 years for women and 35 years for men. I will tell you about a couple of the latest know-how of the Pension Reform of the power. Few people know that the insurance experience in Ukraine will be counted starting from July 1, 2000. It comes about the period, when the Pension Fund started to receive information about the payment of contributions in the system of personalized accounting. For instance, if a citizen, who was born in 1961, started to work in 1980, it will be counted only not 37 years, but 17. It means that he should work up to 63 years to get his pension. Those, who are less fortunate and have less than 15 years of insurance period (starting from the second half of 2000), will not be able to get a pension. The state will pay them a minimum social benefit (if they reach 65 years). And one more thing: it will be possible to retire even at age of 60, if you pay contributions for each missing insurance year per UAH 8448. SECOND. The problem is not only in the fact that there is a huge deficit of the Pension Fund. It is necessary not to have a head in the clouds, but to realize that our economy does not work. It is totally in the shadows. Accordingly, we can save such state superstructures as the Pension Fund by restarting the economy and fill it with real money. THIRD. We cannot save on our citizens, especially in crisis. We cannot be on the bit of the IMF and other similar institutions due to the fact that they are not interested in the fate of our retirees. Therefore, we must have our own way! In my opinion, it is important to save socially oriented pension system under current circumstances. In particular, we should remain the retirement age for women and men at the level of 60 years. The insurance experience, which allows to get minimal pension based on age, should be at the level of 15 years. It is not difficult to find out the sources of replenishment the Pension Fund. For instance, according to the results of e-declaration, it can be refilled through the taxation of shadow income and luxury goods of the officials. It is also necessary to put a tax on superprofit of enterprises of natural monopolies, when its assets are withdrawn to offshore. If you want to reduce pensions, you should reduce pensions of judges, prosecutors and other “necessary” officials, who receive enormous sums.